Small enough for an owner to manage alone, this new Sunreef Yachts model still offers expansive accommodations. The first time I saw a Sunreef catamaran on the dock, I had to stop and take a good look. There was a group of people chilling out in the saloon listening to some ambient music with a bottle of Prosecco waiting patiently in an ice bucket on the dining table. I have got to say, it looked pretty cool. The Sunreef I spotted on the dock was the Sunreef 114 CHE, which sleeps 13 but probably needs a crew of about five to sail. 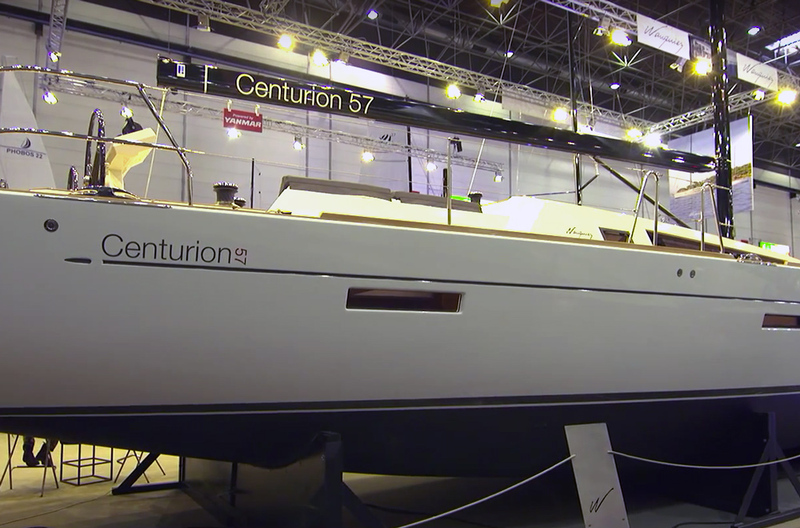 Next year, the French-owned company will be launching the Sunreef 58, which has many of the characteristics of the larger models but doesn’t require the manpower or the bank balance of the Sunreef 114. 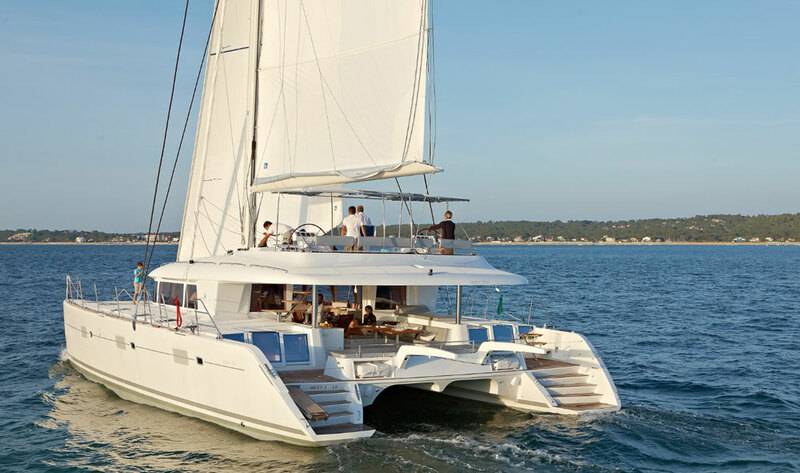 The Sunreef 58 has many of the characteristics of the company's larger models but doesn’t require as much manpower. 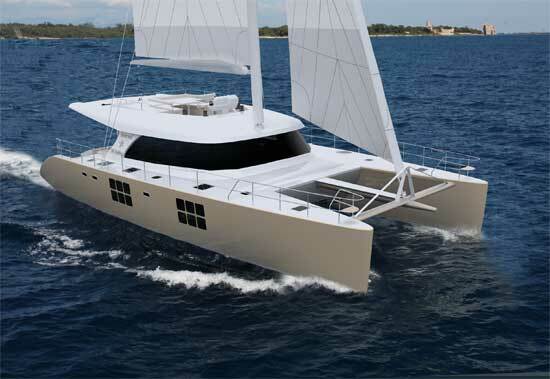 The external appearance of the Sunreef 58 is highly appealing. 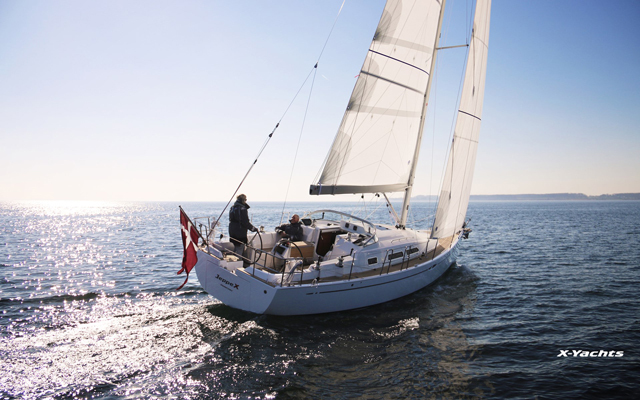 Modern deck systems give the boat clean lines with an uncluttered deck, which are also highly desirable for short-handed sailing. 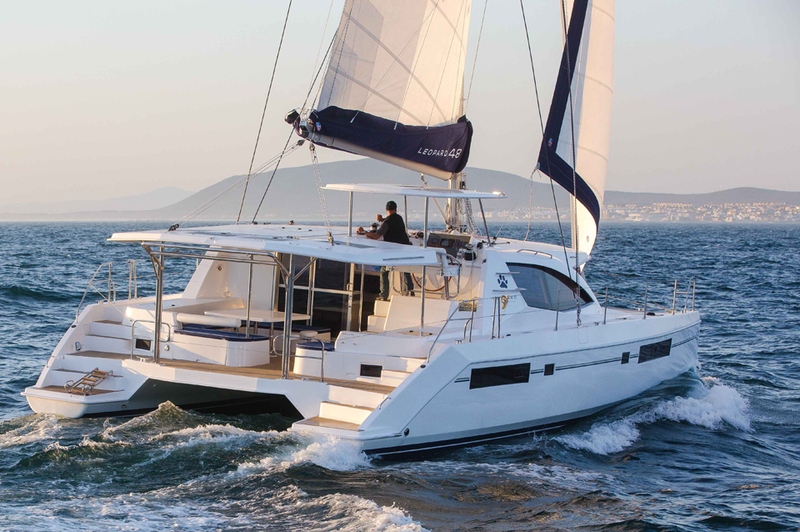 The Sunreef 58 also has a ‘flying bridge’ similar to luxury motor yachts and the bigger models of the range. This additional area offers elevated views and additional deck space, away from prying eyes for sunbathing. The flying bridge can be accessed via internal and external companionways. Many of the larger Sunreef yachts are aluminium, but the structure of this yacht is super-light hi-tech composite, which helps it sit high in the water and gives it a cool and refreshing style. Sunreef can provide semi-custom touches and all of the work is carried out in-house, so the layout of the galley and seating area can be very much owner-driven. Located on deck with a navigation section and a dining area, the deck level saloon is open to the elements aft with the flying bridge structure providing a solid canopy. The front of the saloon is not dissimilar to a race-style ‘cuddy’ which houses the galley and navigation station. With an arched, tinted windscreen providing total protection, the Sunreef 58 takes on an almost futuristic look. 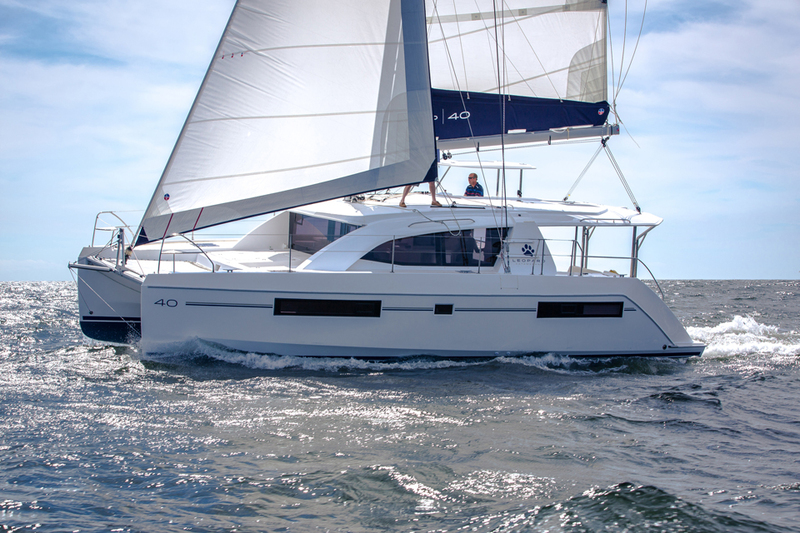 I have only recently even set foot on a catamaran, having been a mono-hull sailor since the get go, but there is no denying that there are massive advantages when it comes to cruising to opt for two hulls. The Sunreef 58 will be an impressive platform for entertaining and also has a remarkable turn of speed to complement the onboard experience. There is the added advantage of very shoal draft, allowing the yacht to access shallow waters. 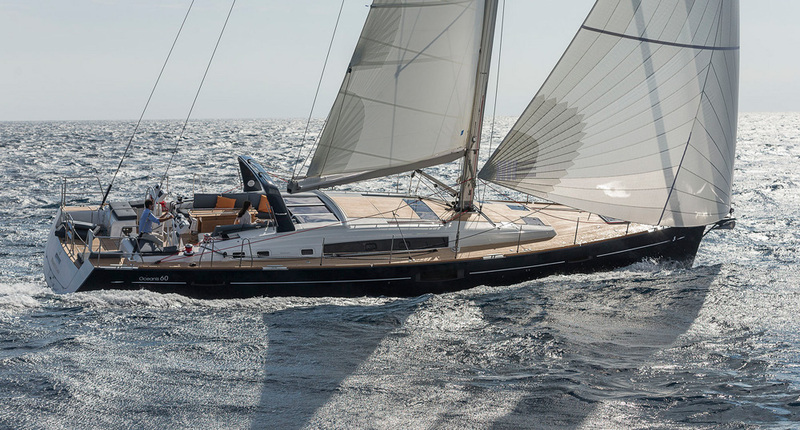 As I said I am very much at home in a monohull but I would happily spend time on board a Sunreef 58 cruising in the Caribbean.